Anne Sissel is a Managing Director of Baxter Ventures. Baxter Ventures is the $200 million fund of Baxter International, investing in companies with innovative technologies, products and/or therapies with the ability to improve patient care globally and maximize value for investors and entrepreneurs. Anne brings over 15 years of finance and executive leadership experience. Anne was on the founding team and executive team for Veracyte, Inc. (NASDAQ: VCYT). Anne lead the finance and business development organization and was a cross-functional leader from early discovery through commercialization. 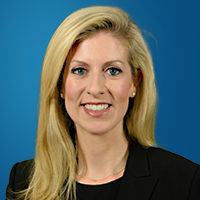 Prior to Veracyte, Anne worked in the Investment Banking Division of Goldman, Sachs & Co. in New York and San Francisco. Anne has completed over $200bn in financing and M&A transactions for clients in the healthcare and technology industries. Anne holds an MBA from the Wharton School of the University of Pennsylvania and a BS in Finance from Indiana University. She was selected to Crain’s Chicago Top 50 in Tech List in 2015, Chicago Tribune Top Innovators 2016 and is also a Chartered Financial Analyst (CFA) charterholder. Anne’s current Board and Observation roles include: Opsonix, Inc., Sanifit S.L. and TVA Medical, Inc.